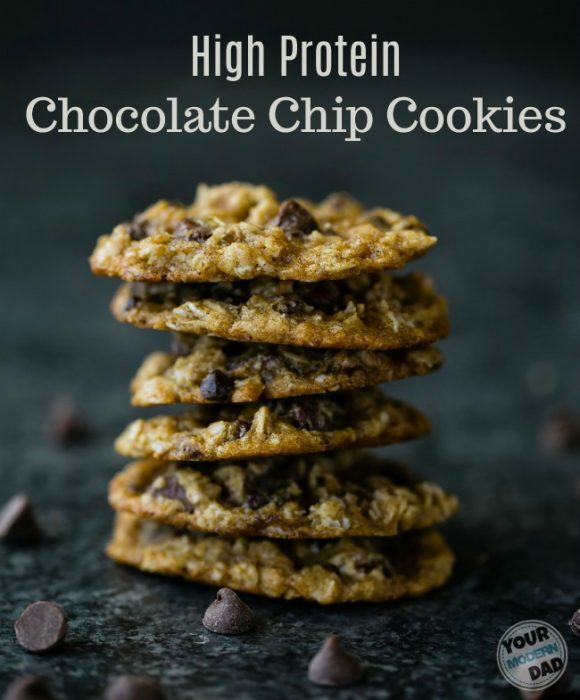 Today I’m partnering with Dr. Axe – Food Is Medicine, to share a sponsored post featuring our High Protein Chocolate Chip Cookies because… well… they taste great and they have high protein. What’s not to like? Supports healthy gut, mobility, flexibility, healthy muscles, healthy bones & joints, vibrant skin, a healthy weight, keeps hunger in check, healthy normal aging, restful sleep and it keeps our brains healthy. 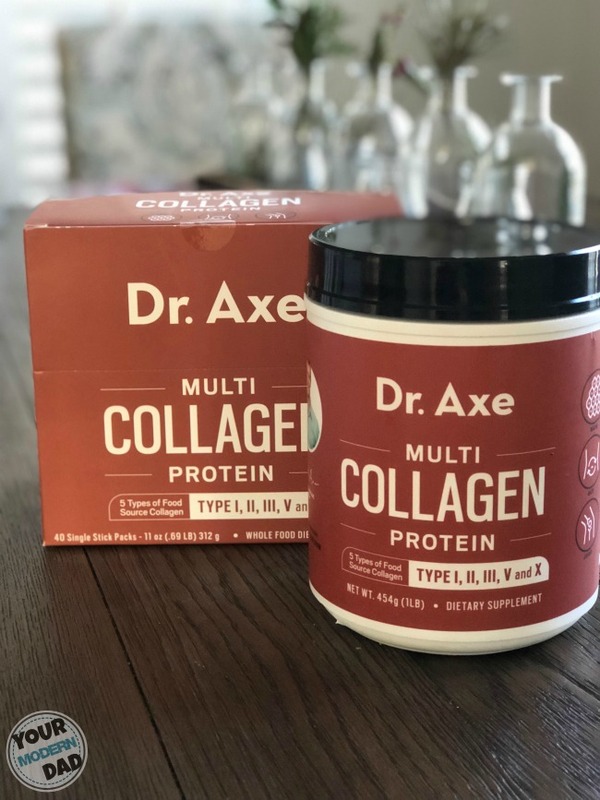 My family and I started adding collagen to our foods and drinks after hearing more & more about it. 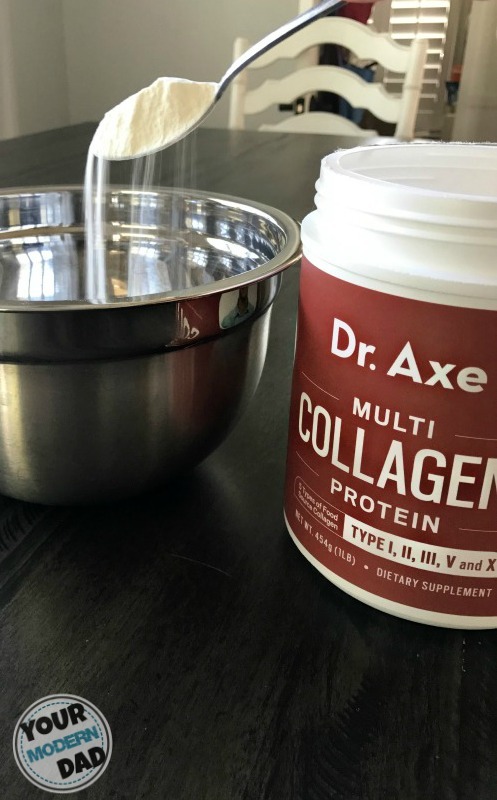 I add Dr. Josh’s Axe’s Multi Collagen Protein to our coffee every morning. We add it to our baked goods, like muffin & pancake recipes, because you can’t see or taste it, but you get all of the benefits. 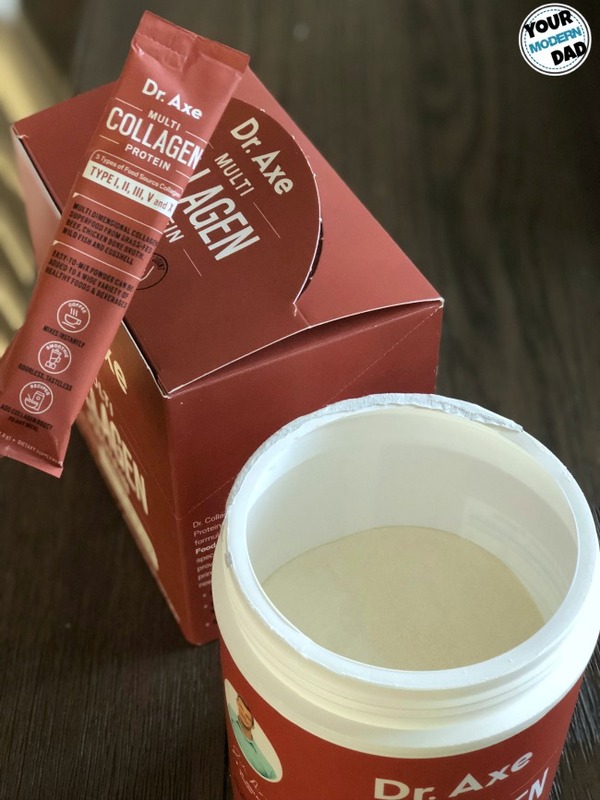 Supplementing with collagen is vital for supporting healthy tissues, the gut, muscles, mental health and healthy, glowing skin. 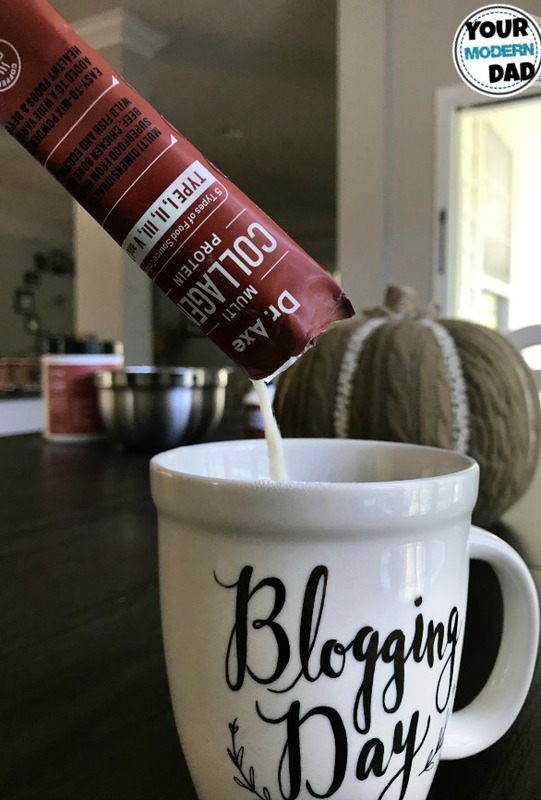 It’s very easy to use & since you can’t taste it (at all! ), we can add it to anything. 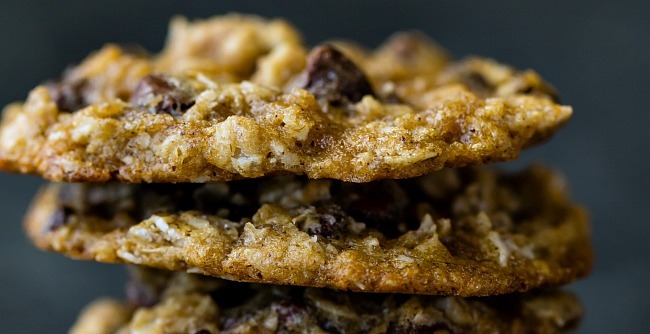 Try it with this Healthier Oatmeal Chocolate Chip Cookie recipe- you won’t even notice it. To the butter, add oil, granulated sugar, brown sugar, egg and vanilla; beat until creamy. Drop the dough by heaping teaspoonfuls, 1 inch apart, onto the greased baking sheets. Yum! Can’t wait to try these.